Ronald R. Krebs is Beverly and Richard Fink Professor in the Liberal Arts and Professor of Political Science at the University of Minnesota. An expert on foreign policy and international relations, he is the author most recently of Narrative and the Making of US National Security (Cambridge University Press, 2015), which received the 2016 Robert L. Jervis and Paul W. Schroeder Best Book Award in International History and Politics and the 2016 Giovanni Sartori Book Award, for the best book developing or applying qualitative methods, from the American Political Science Association. Ron Krebs is co-editor of “Rhetoric & Grand Strategy,” a special issue of Security Studies (2015), co-editor of In War's Wake: International Conflict and the Fate of Liberal Democracy (Cambridge University Press, 2010), and author of Fighting for Rights: Military Service and the Politics of Citizenship (Cornell University Press, 2006). His articles on a wide range of topics in international relations have appeared in leading scholarly journals, including International Organization, International Security, the European Journal of International Relations, International Studies Quarterly, and Security Studies, as well as in outlets for the general public like Foreign Affairs, The National Interest, ForeignPolicy.com, Lawfare, Slate, and the Washington Post (for a complete listing, see his website). 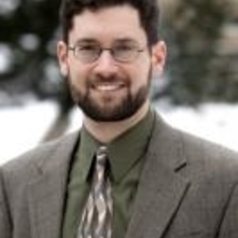 Ron Krebs has been named a Fulbright Senior Scholar to Israel (2012), as well as Scholar of the College of Liberal Arts (2017-2020) and a McKnight Land-Grant Professor (2006-2008) at the University of Minnesota. He currently sits on the editorial boards of Security Studies and the Journal of Global Security Studies.